Mercury Rev are not having your typical late career. At the end of 2018 they embarked upon a twentieth anniversary tour for their classic 1998 album Deserter’s Songs: not wacky in and of itself, but they elected to play wilfully tiny venues that they’d doubtless have sold out with little bother even if they were touting a new record. 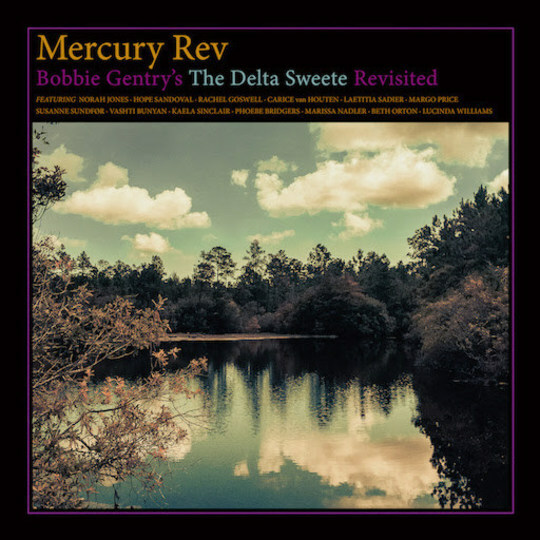 And now we actually have the new record and it’s... a song-for-song (almost) cover of the cult 1968 album The Delta Sweete by Southern singer-songwriter Bobbie Gentry, in which Jonathan Donahue cedes vocal duties to a rotating cast of female singers. Why? 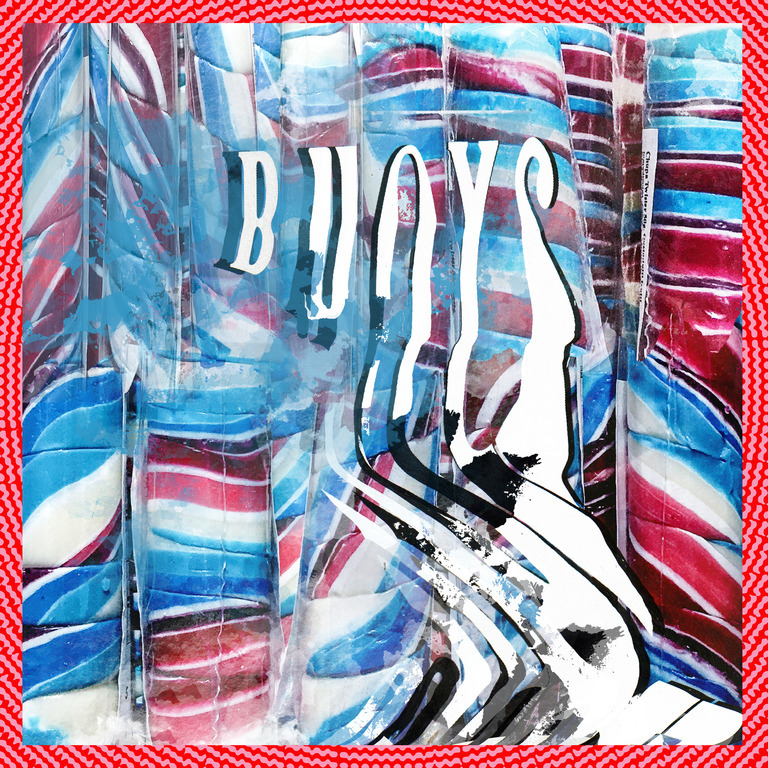 As far as I can tell from a couple of supporting interviews, the band were fans of the album, covered it for their own amusement some years back, contacted a series of female singers about performing on it, and were taken aback when they all said yes and figured they should release the thing. Anyway: I am absolutely not going to pretend that I was in any way familiar with the original, and perhaps like your favourite Bond, it’s a case of whichever you heard first. But I like it: there is something potent and cohesive about it. Both artists would seem to be intensely evocative of the landscapes that birthed them - Gentry of the sweltering Delta, Mercury Rev of the haunted Catskills. And the meeting works, too, an intense, hazy hybrid of two musical vision. It’s not really what you’d call a country record, but it’s not an indie one exactly: the shimmering waves of percussion, curtains of candyfloss strings and hot whorls of organ feel more or less period accurate, in terms of instrumentation, but the band aren’t really aiming to imitate the first Delta Sweete - their trademark washes of sound are everywhere; the record almost feels like a dreamy remembrance of the original, a lucid but inexact memory of Gentry’s cult original. There are obvious moments of musical digression – call-and-response blues standard ‘Tobacco Road’, as sung by Susanne Sundfør, has an almost Nick Cave thing going on – but as a rule it’s intensely cohesive, the same feverish, dappled vision. Perhaps that explains why an album with 12 different vocalists doesn’t feel like it’s all over the shop. True, most of the singers tapped up have a certain authoritative langour: separated from their usual musical environs, the likes of Nora Jones, Hope Sandoval and Marissa Nadler certainly do not sound like they were born on different planets to each other. That said it’s individual performances that impress the most: alt country star Margo Price cuts through the smoking brass of ‘Sermon’ with a ferocious turn, full of fire and brimstone as she cooly declares that “God almighty gonna cut you down”. Phoebe Bridgers’ exquisitely tender take on ‘Jesseye ’Lisabeth’ has a level unbridled emotion rarely matched elsewhere. And country veteran Lucinda Williams brings a gravelly authority to the intense, delirious rendition of Gentry’s chart topping single ‘Ode to Billy Joe’ (not actually on The Delta Sweete) that closes the album. Cohesion only goes so far, though, and what the record undoubtedly lacks is a single vocal personality to bind it all together. Gentry wrote about life, lust and death in her own boiling corner of America; she was a personality, and The Delta Sweete was her audacious attempt at a concept album. That’s dispersed here, and Gentry’s words seem less important, diffused between multiple personalities. Not only that, but the detached style possessed by most of the singers sometimes puts a barrier between us and Gentry’s wordy songs. The singers that make the most impression are ultimately the most impassioned: Williams, a country artist, probably understands Gentry the best, powerfully wrapping her flinty vowels around ‘…Billy Joe’ and its tale of suicide by drowning on the Delta. A pet project that got kind of out of hand but is unlikely to ever even be considered an canonical Mercury Rev album, The Delta Sweete Revisited probably isn’t destined to be anything more than an interesting footnote in the career of anybody involved. But it certainly has something to it: a mood, an ambience, an ethereal sultriness, chilly northern mists turning to hot southern steam.